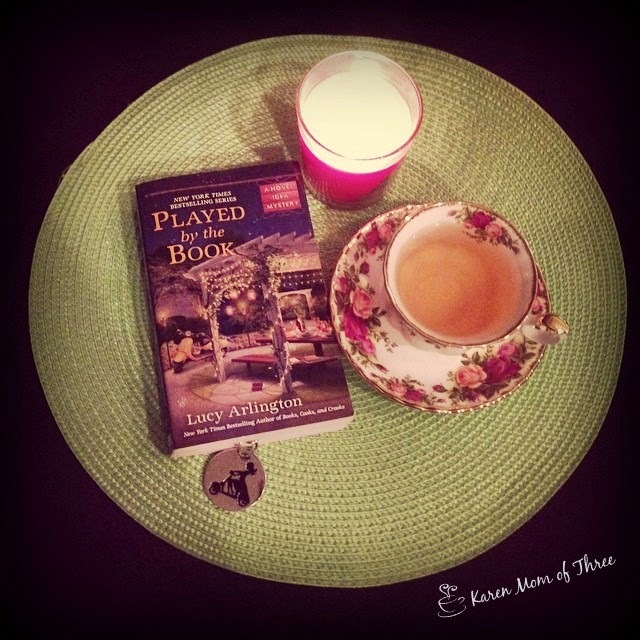 I just finished Played by the Book by Lucy Arlington. 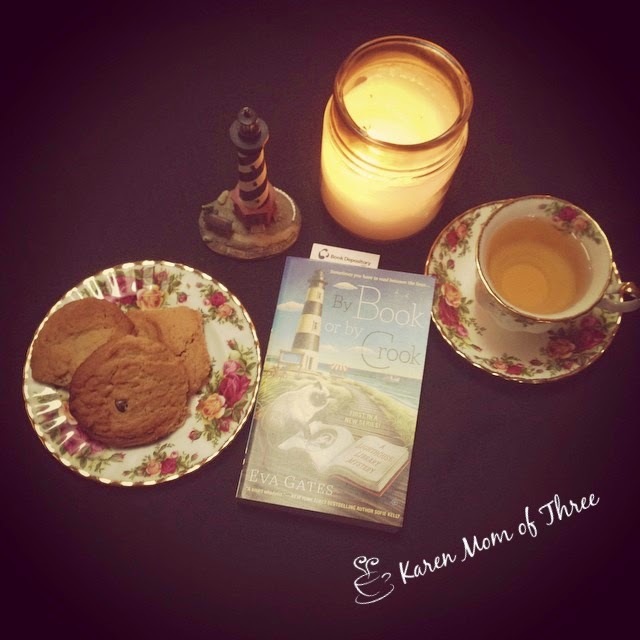 This is book five in a wonderful series about hope and starting over in your 40's. As I am about to turn 40 myself, I really love this series and it's wonderful rich characters. I also like the idea that at any age you can begin again and find that sweet spot where not everything is perfect but you finally feel like you have come into your own...even if you are a magnet for finding the recently deceased like main character Lila. I love reading books that take place in different seasons to the one I am currently experiencing. It helps transport me on a mini vacation as it were. I think if you are anywhere in North America right now a hot and sunny summer is just what the doctor ordered. I took this photo the day my copy arrived last week and we are very blessed here on the West Coast of Canada this year to have one of the mildest winters on record but that does come at a price too. If you are looking for a great escape that will leave you feeling warm and cozy. 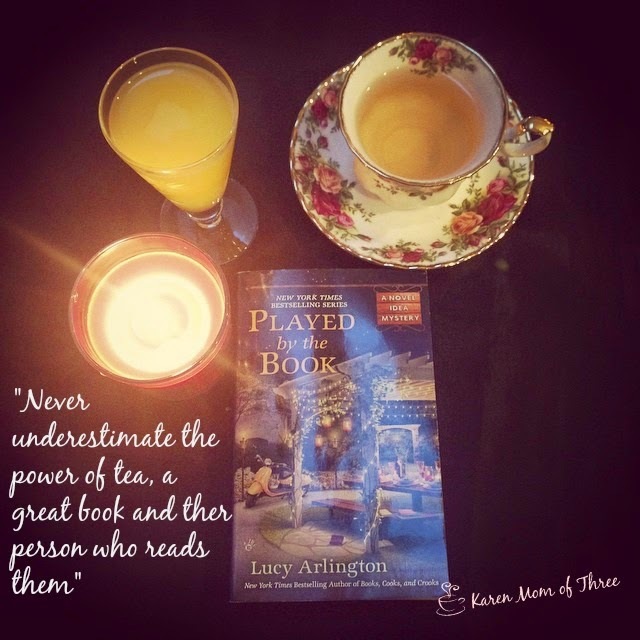 Put on the kettle and pull out your favorite pot and USE THAT TEA CUP you have had in the cupboard forever and start a great adventure of Self Discovery with Lucy Arlington's A Novel Idea Mystery series. 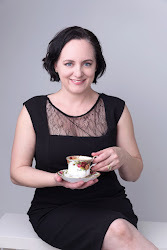 To learn more about Lucy Arlington please click here. 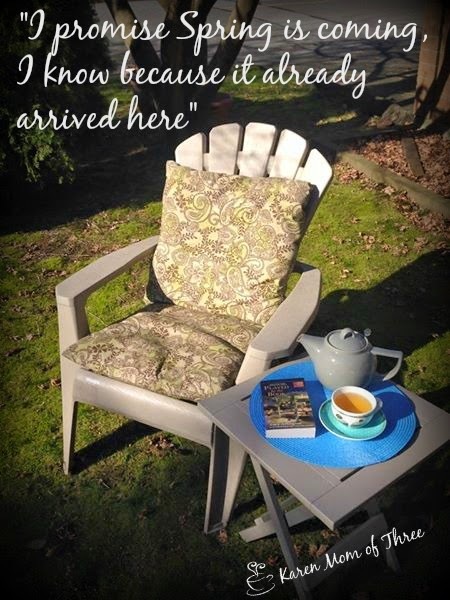 I feel guilty writing this review from the wonderful West Coast of BC, Canada while I look at photos of the Eastern USA and Canada where I have family and wonderful friends living in the snow storms of a life time. Photos from Boston this morning turned my stomach. I am so lucky to live where I do. The next book I will be reviewing arrived yesterday and I was able to begin it outside in the sun under my favorite tree. 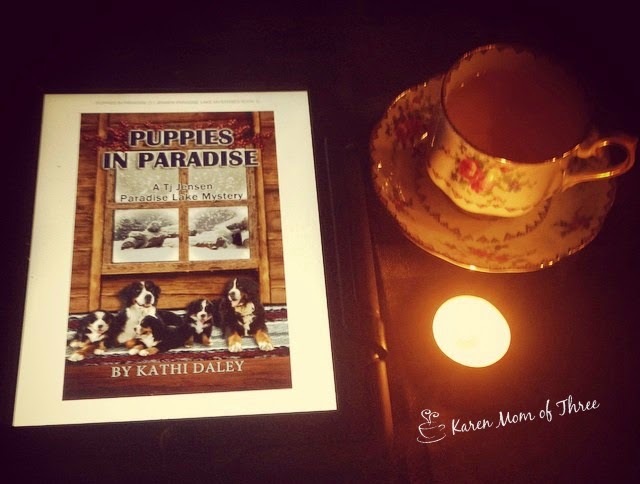 This past weekend I read Puppies in Paradise another wonderful and heart warming mystery by Kathi Daley. 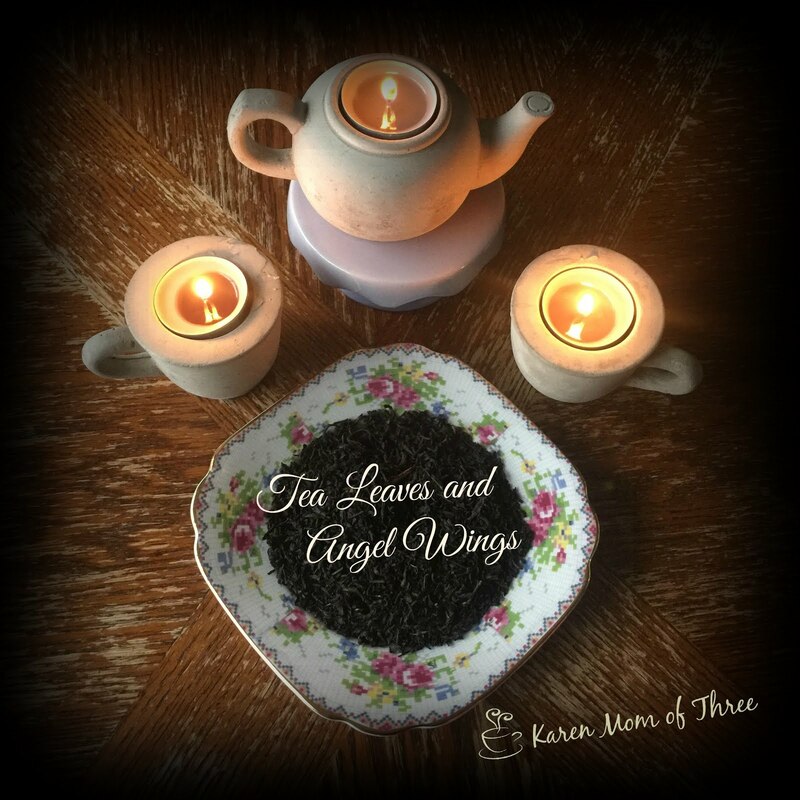 Kathi is a wonderful story teller and I can always count on enjoyable stories and warm wonderful characters who make a place in your heart. I also like that Kathi publishes her books so quickly so I feel like I am catching up with friends every time I pick up one of her series. 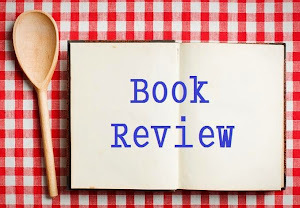 Her wonderful books include fantastic recipes and often submitted by her devoted readers and fans. Kathi does a wonderful job of making each reader feel included in the communities of her books. 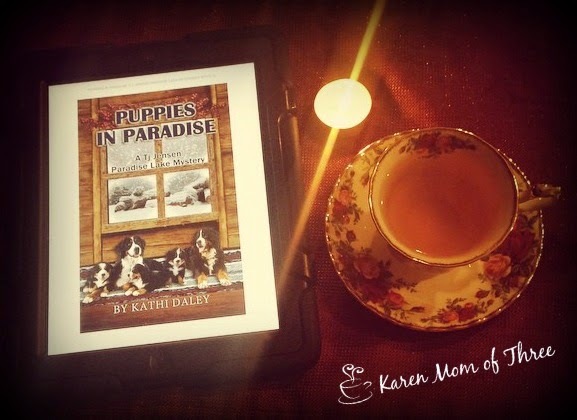 You can order Puppies In Paradise on Amazon by clicking here. 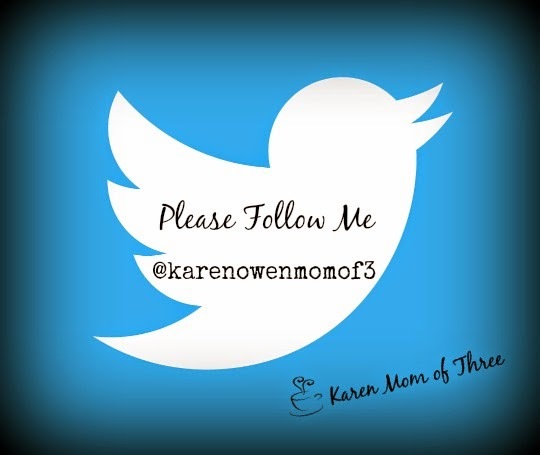 Keep up with the latest news on Kathi's website by clicking here. 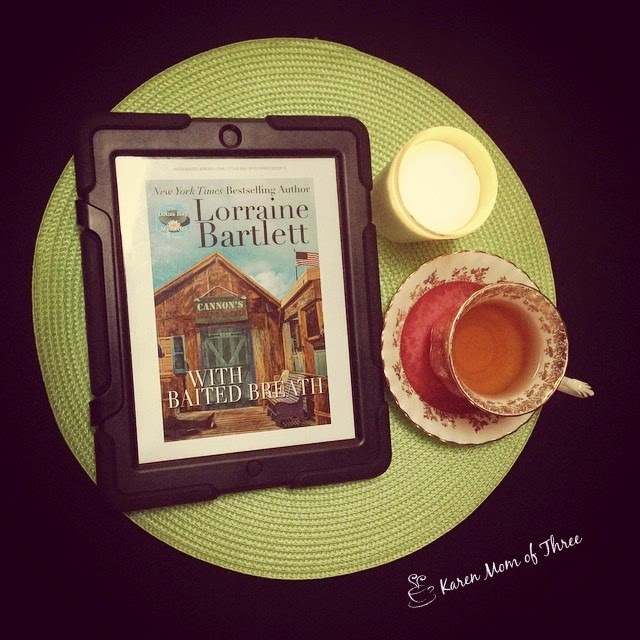 I am continuing to wait somewhat impatiently for the mail man and have been dying to get my hands on some long awaited cozy mysteries I ordered to arrive and found myself with nothing to read yesterday. 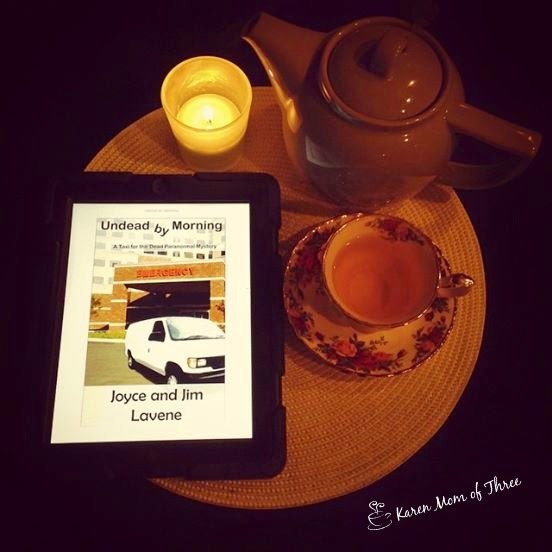 My wonderful Facebook Friend Joyce came to the rescue with her short story Undead by Morning. I knew nothing about this new series of theirs and went into it not knowing the premiss or even an idea of what I was going to be getting myself into. What I got was a surprisingly good mystery to wet my appetite for the first novel of the Taxi for the Dead series which is available for order now on amazon you can view it by clicking here. I do like a paranormal mystery from time to time and I prefer witches normally, but zombies are new for me and I actually felt like I need to know what happens next! Thank you to Joyce for sending me this short story to read and opening my mind to accepting that Zombies may actually have a great place amongst the paranormal cozies I currently read. 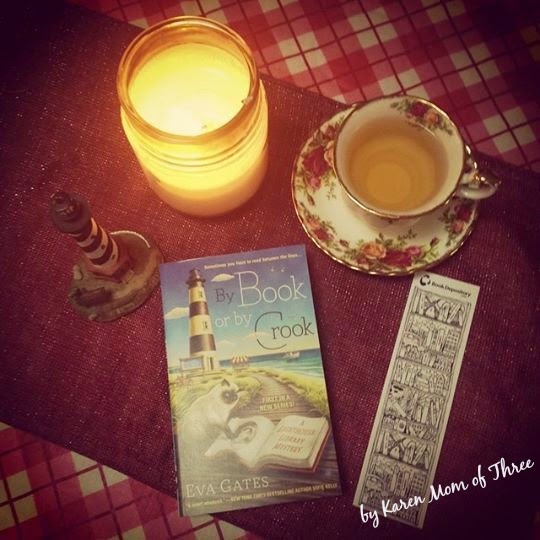 By Book or By Crook by Eva Gates Was Worth Waiting For! 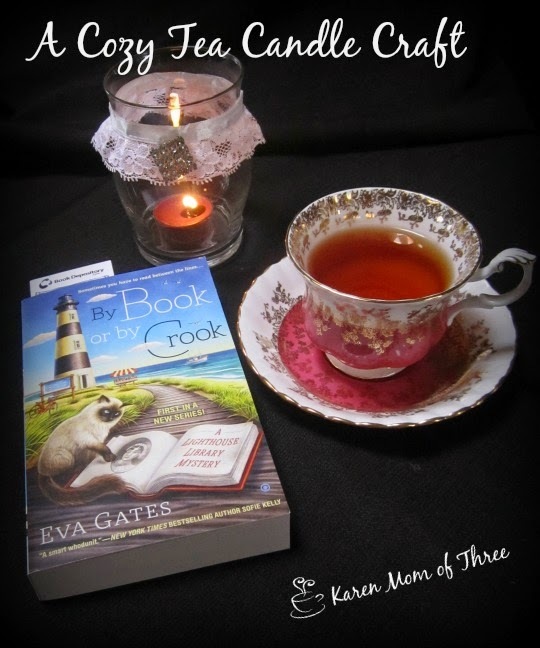 I pre ordered Eva Gate's new first in series By Book Or By Crook based on the cover art alone. I stalked our mail man for more then a week waiting for it to arrive, it was so worth it. I am I will admit a sucker for a book cover with a light house and a cat. 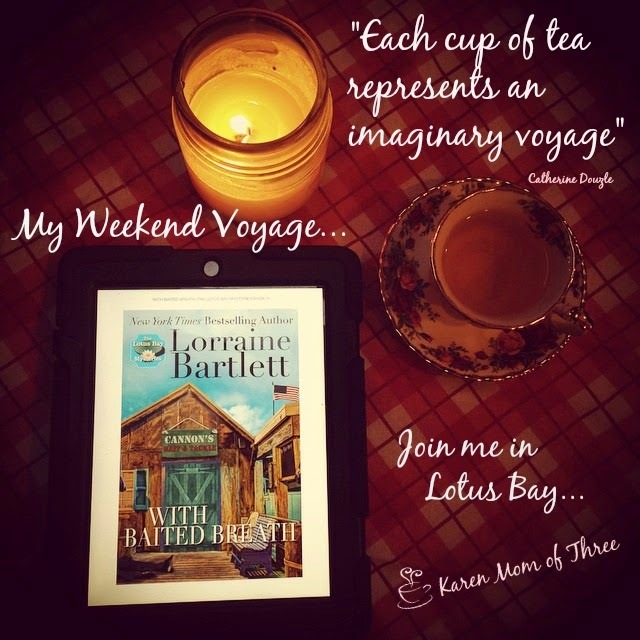 I was so very thrilled with this first in series and felt like I could not put it down. 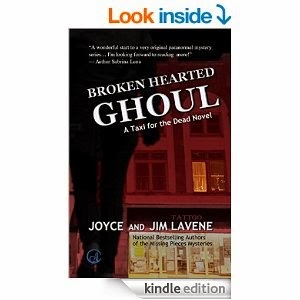 The main character Lucy impressed me right away, I loved that she was perfect and flawed at the same time. Confident and yet vulnerable and this "who done it mystery" did keep me guessing until the end. The idea of a library housed in a light house with an apartment at the top was delightful to picture and imagine visiting. There are so many characters in this book. From the Mayors office to the bakery back to the library it's self, colorful and intriguing so many characters to enjoy. I hope their introduction in this first in series means that there are more juicy small town gossip and mishaps on the way. 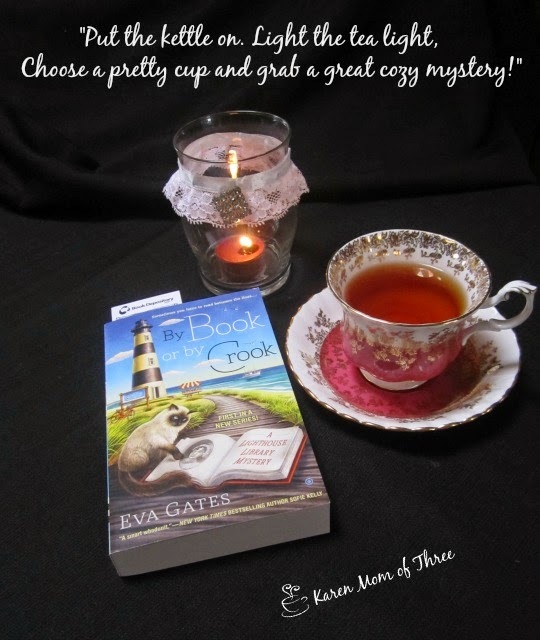 Eva Gate's Second book in the series Booked For Trouble is due out in September and I am definitely going to order it! Check out By Book or By Crook by clicking here. 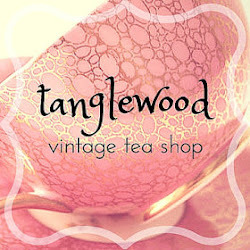 Today I thought I would show you how to make A Cozy Tea Candle Craft for your own Cozy Corner. 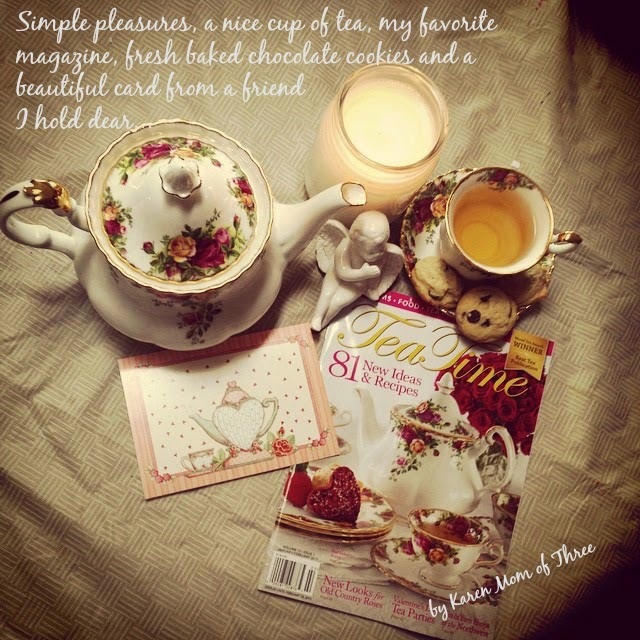 Using a recycled jar candle and some lace I purchased at Walmart I created something I think is cozy and romantic! 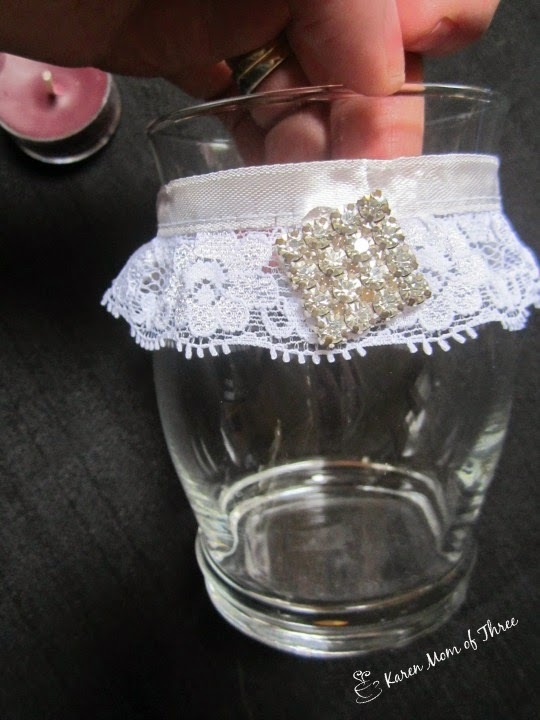 Step 2- Unwrap lace from your spool and wrap it around the jar where you would like it to sit. Make sure to over lap it by 1/2 inch. 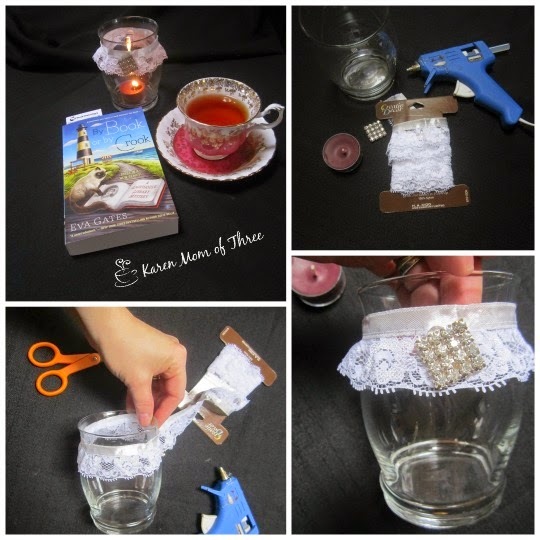 Use your scissors to cut the lace. Step 3- Add a dab of glue where you want the ribbon to sit. Press one end of your lace into place. 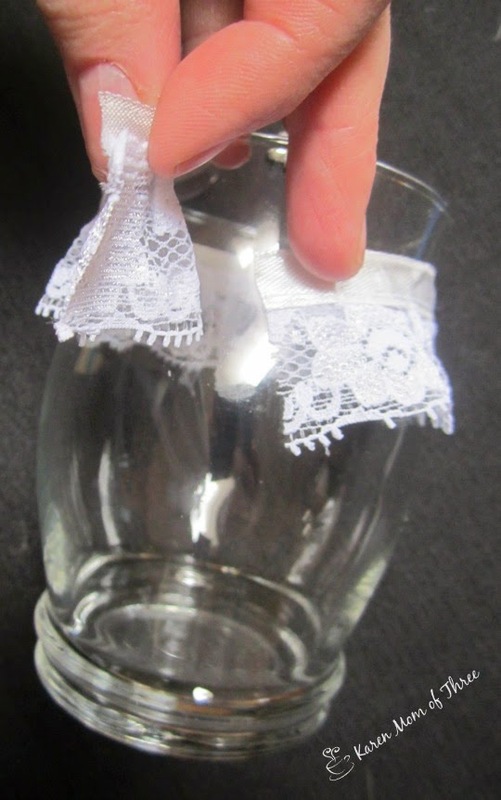 Step 4- Fold the other end of your lace and then add another dab of glue on top of the lace on the vase. Press into place. Step 5- Turn the vase/candle holder around and find the center. Add another dab of glue and press your embellishment into place, if you are using a broach you can just pin it into place. Allow it to dry and then pop in a tea light candle. Well I am off to read! 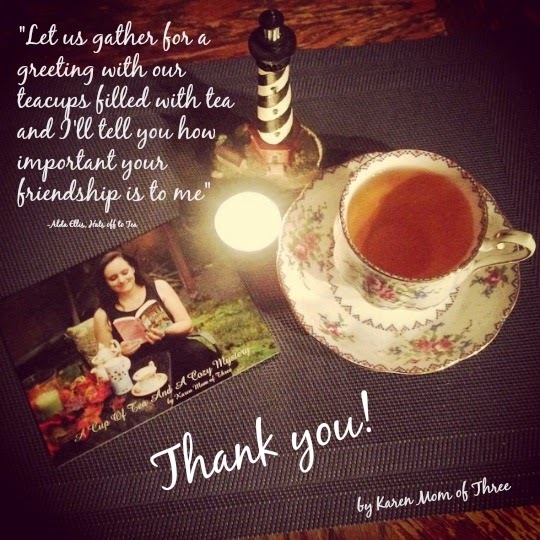 I hope you enjoyed this tea craft and I hope to see you back here again soon for A Cup of Tea and A Cozy Mystery. 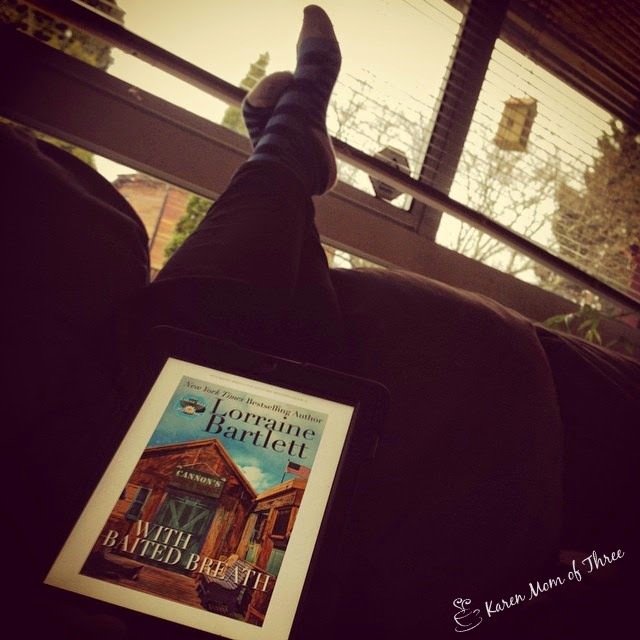 I spent last week stalking the mail man with no avail, if you are at all stuck with out mail delivery for a week like I was may I recommend down loading a great book on your Kindle App? 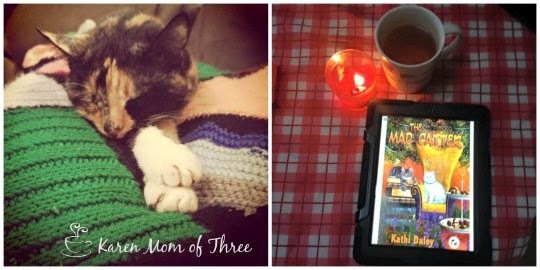 Kathi Daley came to my rescue with the second installment of the A Whales and Tales Mystery this weekend with the release of her latest publication The Mad Catter. After waiting on the mail man all week and not even getting a flyer I was starting to loose my mind. If I had to read the cereal box one more time I was going to loose it! 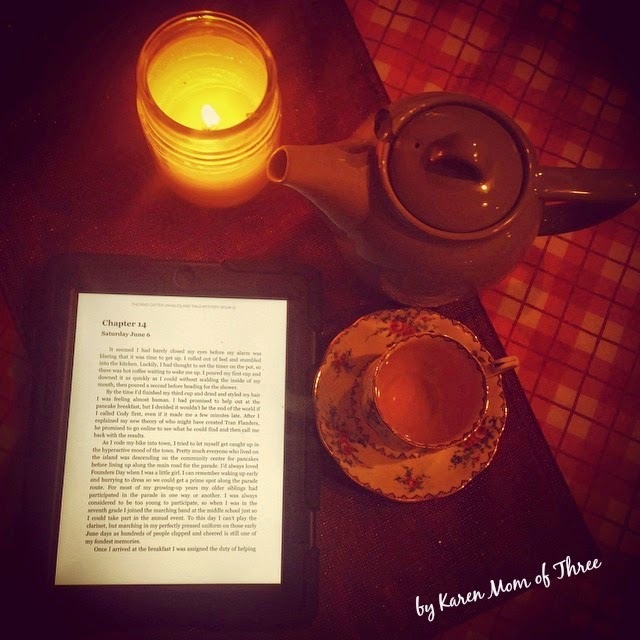 Thankfully my husband downloaded Kathi's book onto my Ipad and I gabbed my grandmother blanket a mug of tea and sat on the couch to read. My almost 17 year old cat "baby kitty" joined me in my lap as I read. This latest installment of The Wales and Tails Mysteries was fantastic. The story was well written, engaging and moves along very quickly. I like books with on going story lines, endearing characters, fantastic friends, a pair of witches and perfect pet companions. 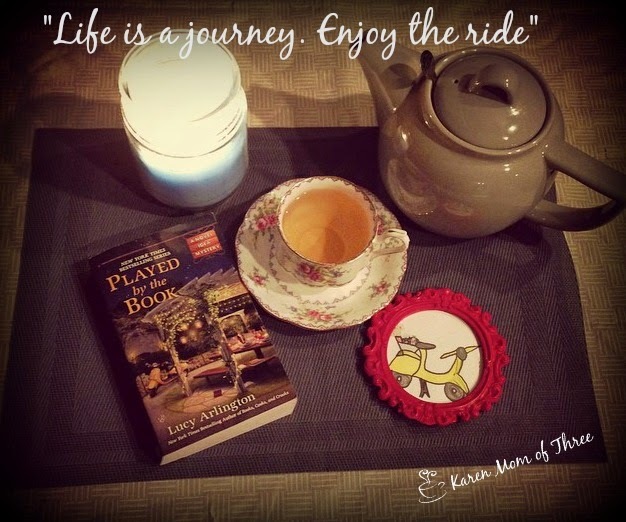 Kathi has created a wonderful cozy town set very close to where I live now so picturing everything from the weather to the store fronts came really easy to me. 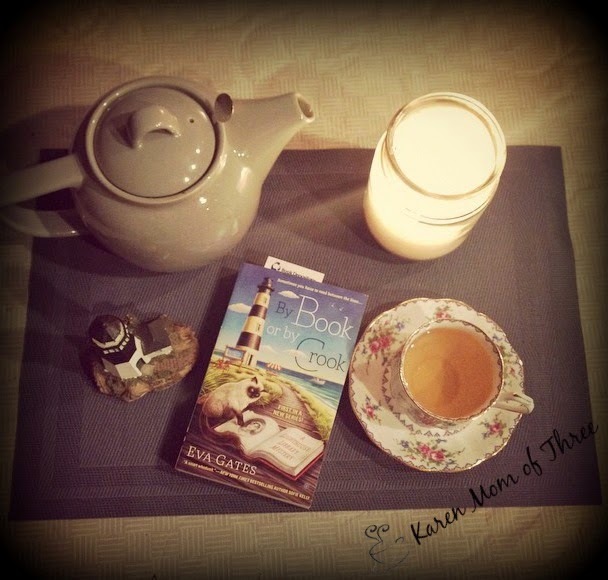 I highly recommend Kathi's series and can not wait for next month and the next adventure with main character Cait and her furry friends. 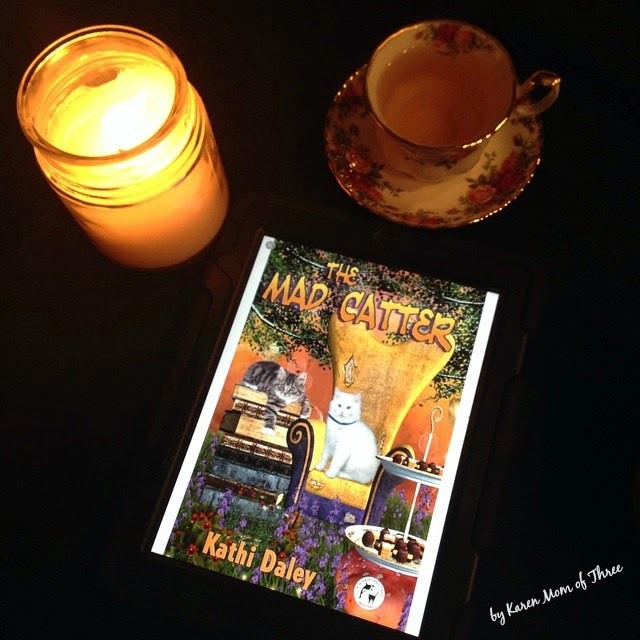 To order The Mad Catter by Kathi Daley please click here.